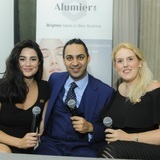 Around 200 aesthetic practitioners joined skincare developer AlumierMD on September 12 at the IceTank venue in London to celebrate the launch of the EverActive C&E serum. 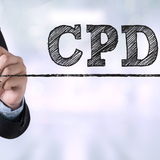 Alumier Labs has announced that delegates attending the Alumier Pro Comprehensive Training will now receive up to 14 continued development points (CPD) for two days of education. 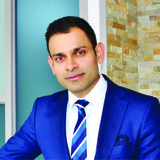 Skincare developer AlumierMD has chosen aesthetic practitioner and founder of Perfect Skin Solutions, Dr Dev Patel, as its 2018 key opinion leader. 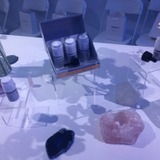 Aesthetic practitioners were invited to learn about the science behind the AlumierMD cosmeceutical range at a cocktail and canapé reception on September 13 in central London. 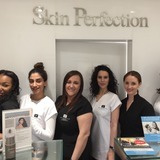 Skin and laser clinic Skin Perfection held an open evening on May 18 in Central London to educate their patients about skin. Aesthetic practitioners met at the Royal Society of Medicine on March 23 for a workshop on plasma generation using the PLEXR Plus. 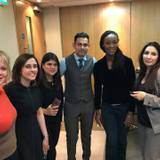 On September 20, aesthetic nurse prescriber and clinic owner Sarah White held a launch event to welcome colleagues and patients to her new premises at LifePlus clinics on Harley Street in London. 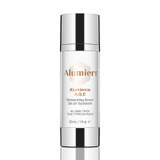 Skincare developer Alumier Labs UK has launched a new serum that aims to brighten the skin’s complexion and reduce the appearance of hyperpigmentation. Skincare developer Alumier Labs UK has introduced the Bright & Clear Solution to its AlumierMD products.